All good things must come to an end, as the old saying goes. And so it was for the Whistling Woods International’s (WWI) graduating class of 2018, as they celebrated the 11th Annual Convocation ceremony held at St. Andrew's Auditorium, Bandra. 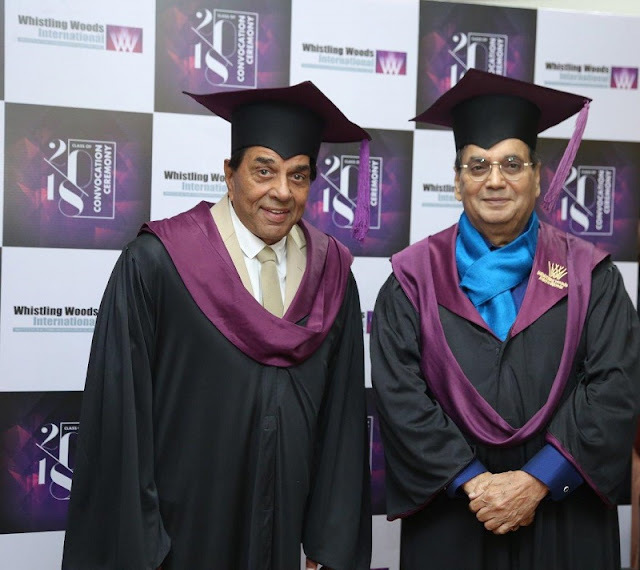 However, it was an end befitting Asia’s premier Film, Communication, and Creative Arts Institute, with a host of eminent personalities in attendance to wish the graduating students the very best for their future endeavors. 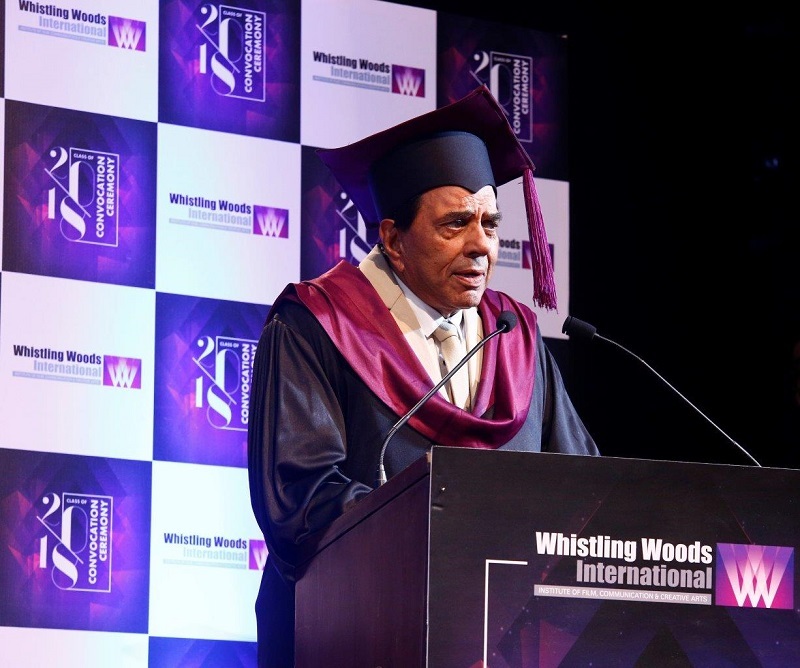 The evening also witnessed another cause for celebration, as the chief guests – veteran film director and auteur, Govind Nihalani and legendary actor, Dharmendra – were felicitated with the prestigious Whistling Woods International Maestro Award for their contributions to Indian cinema over the decades. 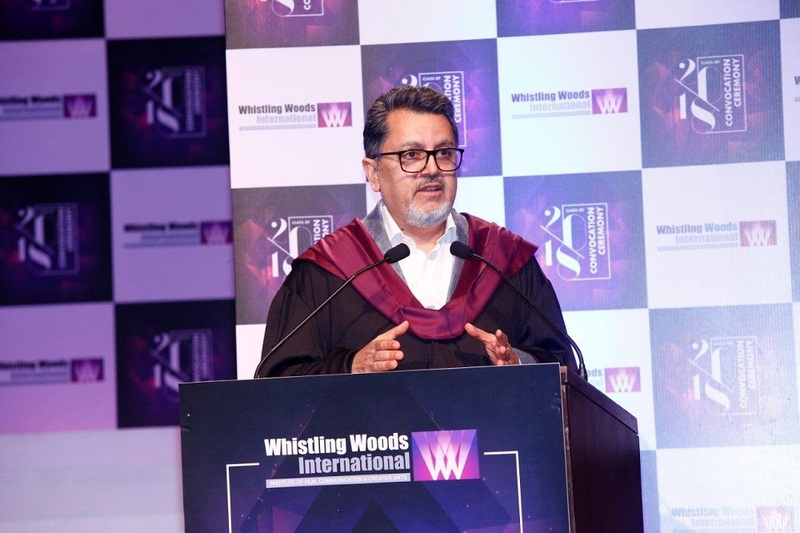 As the evening progressed, Professor Neela Dabir, Dean, School of Vocational Education at the Tata Institute of Social Sciences (TISS), and Vijay Singh, CEO, Fox Star Studios, the event’s keynote speaker, addressed the students and wished them the best for their future career paths, providing guidance and sharing anecdotes in equal measure. 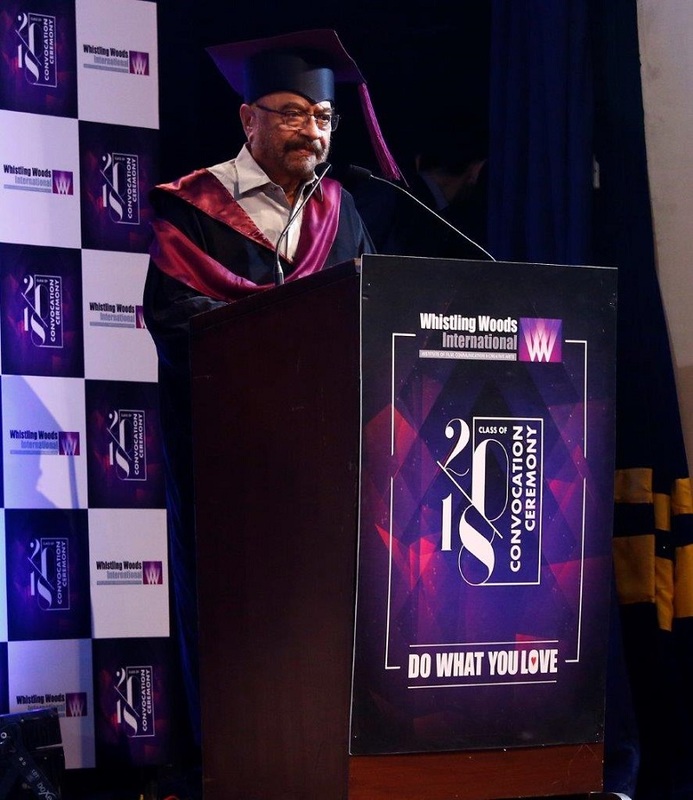 He suggested to the students, “You need to evaluate the opportunities coming your way. You cannot succeed without taking risks. Constantly push yourself, and remember that the world is all about collaborations, therefore be a good team player. With that, the auditorium erupted in cheers and applause. As a sea of graduating hats arched into the air, the audience rose as one to honor the new graduates with a standing ovation. And as the gathered parents witnessed their children take their first steps on the road to the future, there wasn’t a dry eye in the house.